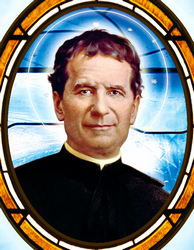 Saint John Bosco accomplished what many people considered an impossibility; he walked through the streets of Turin, Italy, looking for the dirtiest, roughest urchins he could find, then made good men of them. His extraordinary success can be summed up in the words of his patron Saint, Francis de Sales: The measure of his love was that he loved without measure. John’s knowledge of poverty was firsthand. He was born in 1815 in the village of Becchi in the Piedmont district of northern Italy, and reared on his parents’ small farm. When his father died, Margaret Bosco and her three sons found it harder than ever to support themselves, and while John was still a small boy he had to join his brothers in the farm work. Although his life was hard, he was a happy, imaginative child. Even as a boy, John found innocent fun compatible with religion. 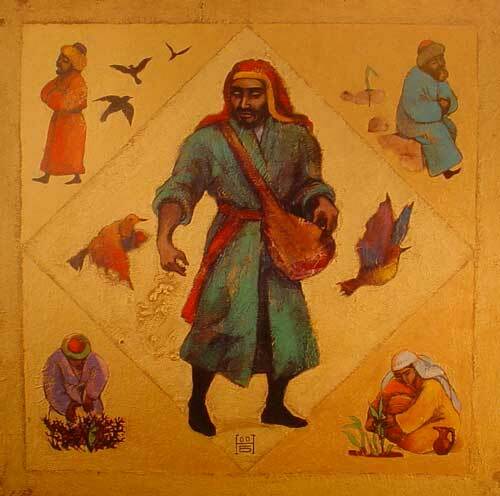 To amuse his friends he learned how to juggle and walk a tightrope; but he would entertain them only on condition that each performance begin and end with a prayer. As he grew older, John began to think of becoming a priest, but poverty and lack of education made this seem impossible. A kindly priest recognized his intelligence, however, and gave him his first encouragement, teaching him to read and write. By taking odd jobs in the village, and through the help of his mother and some charitable neighbors, John managed to get through school and find admittance to the diocesan seminary of nearby Turin. As a seminarian he devoted his spare time to looking after the ragamuffins who roamed the slums of the city. Every Sunday he taught them catechism, supervised their games and entertained them with stories and tricks; before long his kindness had won their confidence, and his Sunday School became a ritual with them. After his ordination in 1841, he became assistant to the chaplain of an orphanage at Valocco, on the outskirts of Turin. This position was short-lived, for when he insisted that his Sunday-school boys be allowed to play on the orphanage grounds, they were turned away, and he resigned. He began looking for a permanent home for them, but no decent neighborhood would accept the noisy crowd. At last, in a rather tumbledown section of the city, where no one was likely to protest, the first oratory was established and named for Saint Francis de Sales. At first the boys attended school elsewhere, but as more teachers volunteered their time, classes were held at the house. Enrollment increased so rapidly that by 1849 there were three oratories in various places in the city. For a long time Don Bosco had considered founding an Order to carry on his work, and this idea was supported by a notoriously anticlerical cabinet minister named Rattazzi. Rattazzi had seen the results of his work, and although an Italian law forbade the founding of religious communities at that time, he promised government support. The founder-priest went to Rome in 1858 and, at the suggestion of Pope Pius IX, drew up a Rule for his community, the Society of Saint Francis de Sales (Salesians). Four years later he founded an Order for women, the Daughters of Mary, Help of Christians, to care for abandoned girls. Finally, to supplement the work of both congregations, he organized an association of lay people interested in aiding their work. Exhausted from touring Europe to raise funds for a new church in Rome, Don Bosco died on January 31, 1888. He was canonized in 1934 by Pope Pius XI. The work of John Bosco continues today in over a thousand Salesian oratories throughout the world. No modern Saint has captured the heart of the world more rapidly than this smiling peasant-priest from Turin, who believed that to give complete trust and love is the most effective way to nourish virtue in others. 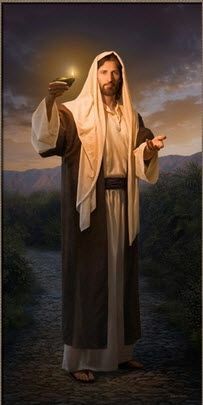 “Jesus said to the crowds: “This is how it is with the Kingdom of God; it is as if a man were to scatter seed on the land and would sleep and rise night and day and the seed would sprout and grow, he knows not how. He said, “To what shall we compare the kingdom of God, or what parable can we use for it? Without parables he did not speak to them, but to his own disciples he explained everything in private.” -Mark 4:26-34. 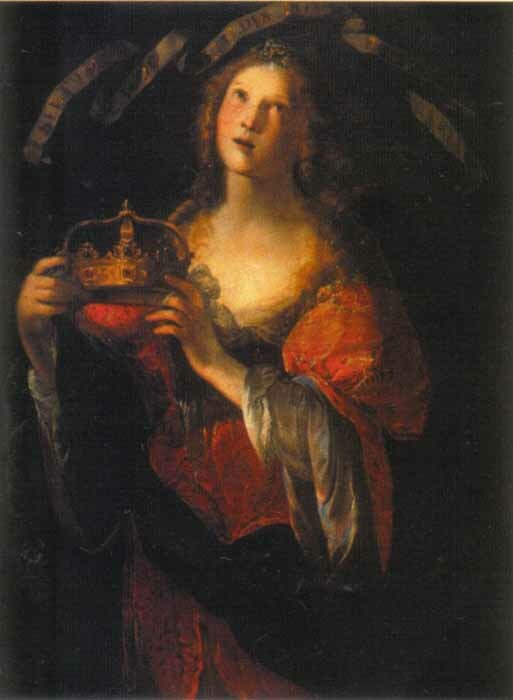 St. Bathildes was an Englishwoman, who was carried over whilst yet young into France, and there sold for a slave, at a very low price, to Erkenwald, mayor of the palace under King Clovis II. When she grew up, her master was so much taken with her prudence and virtue that he placed her in charge of his household. The renown of her virtues spread through all France, and King Clovis II. took her for his royal consort. This unexpected elevation produced no alteration in a heart perfectly grounded in humility and the other virtues; she seemed to become even more humble than before. Her new station furnished her the means of being truly a mother to the poor; the king gave her the sanction of his royal authority for the protection of the Church, the care of the poor, and the furtherance of all religious undertakings. The death of her husband left her regent of the kingdom. She at once forbade the enslavement of Christians, did all in her power to promote piety, and filled France with hospitals and religious houses. As soon as her son Clotaire was of an age to govern, she withdrew from the world and entered the convent of Chelles. Here she seemed entirely to forget her worldly dignity, and was to be distinguished from the rest of the community only by her extreme humility, her obedience to her spiritual superiors, and her devotion to the sick, whom she comforted and served with wonderful charity. As she neared her end, God visited her with a severe illness, which she bore with Christian patience until, on the 30th of January, 680, she yielded up her soul in devout prayer. “Jesus said to his disciples, “Is a lamp brought in to be placed under a bushel basket or under a bed, and not to be placed on a lampstand? The measure with which you measure will be measured out to you, and still more will be given to you. To the one who has, more will be given; from the one who has not, even what he has will be taken away.” -Mark 4:21-25. Often called “Badonicus” because he was said to be born in the same year the Saxons were defeated by the Britons in the battle of Mons Badonicus [Mount Badon], Gildas was born in the lower valley of the Clyde in central Scotland into the ruling family of a small kingdom centred around Dumbarton. As we know few facts about this battle, the date of Gildas’ birth can only tentatively be placed to the decades either side of the beginning of the Sixth Century. Bede indirectly suggests the year 493 for this event. It is recorded that Gildas’ father was called Caw Cawlwyd and his sainted brothers Caffo and Maeliog. Of his mother there is no information. A strongly held tradition in North Wales gives the brothers’ names as Huail and Celyn (ap Caw). The brothers were said to have refused to acknowledge King Arthur and Huail was executed in Ruthin where his execution stone is still preserved in the town square. Celyn escaped this punishment by standing guard over the Copper Mountain in Anglesey from his base at Garth Celyn in Gwynedd. As a young man he was sent from his Clydeside home to the great monastery of Llanilltud Fawr at Llantwit Major, in South Wales, where he, with such luminaries as Saint Sampson and Saint Paul Aurelian, studied under Saint Illtyd, though he was much younger than they. After Gildas completed his studies under Saint Illtyd in 525 he travelled to Ireland in the company of Dewi Sant (Saint David) and Saint Cadoc, moving from one monastic centre to another, in order to continue his studies. While in Ireland he was ordained priest and thereafter returned across the Irish Sea to teach and preach around his native Clydeside. In due time, Gildas made for Wales to stay with Saint Cadoc at Llancarfan. From there, he went on pilgrimage to Rome meeting the pope on his arrival there. On his return, Gildas elected to settle on the tiny island of Flat Holm in the Bristol Channel where, around 540, he wrote his treatise “De Exidio et Conquestu Britanniae” [On the Ruin and Conquest of Britain] a thundering denunciation of the British clergy and secular kings. In it he blamed the laxity of the clergy and the secular rulers for the collapse of Romano-British civilisation and in so doing laid the foundation of the great monastic upsurge that was to take place a half-century or so later. At the same time it is believed that he copied a missal for his friend Cadoc. Hints in fragments of letters suggest that Gildas also wrote a Rule for monastics that was a little less harsh than that of David’s Rule. Some four years later, Gildas decided to settle in Armorica (modern day Brittany) and established a hermitage on the island of Horat near the town of Vannes. In 546 Cadoc followed him across the channel and settled as a hermit near Etel. Although Gildas settled on an island he did not cut himself of from the world and soon established a monastery and school on the mainland nearby. Gildas made a further visit to Rome and called on Cadoc on the way. This time he carried a sweet-toned bell as a gift for the pope. Cadoc asked his friend for the bell but Gildas insisted that it was a gift for Saint Peter’s and carried it on to Rome. On presenting the gift to the pope the bell would make no sound and so it was brought back to Etel where, upon giving the bell into the hands of Cadoc, it resumed its beautiful chime. In 560 he returned to Ireland at the invitation of King Ainmeric to reorder the monasteries, restoring discipline and liturgy. While there he taught in the great School of Armagh and visited the great monasteries of Bangor and Clonard. 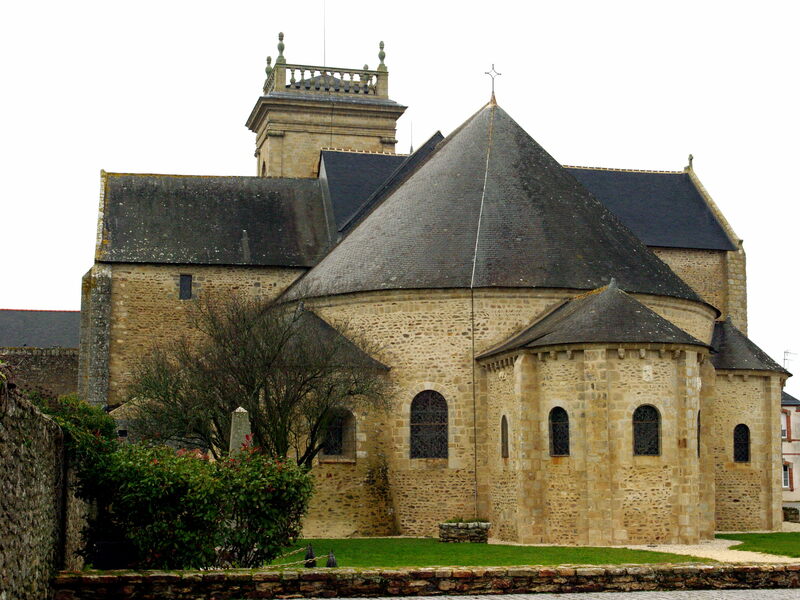 For his final years Gildas once again settled in Brittany, founding a monastery at a place which bears his name: Saint Gildas-de-Rhuys in Morbihan, which, according to Peter Abelard who was later abbot there, was not a very salubrious spot. A holy well bearing his name lies nearby. The Wise Gildas reposed on 29th January 570 and, according to his wishes, his body was placed in a boat and allowed to drift. Three months later his incorrupt body was discovered in a nearby creek and he was brought back to the church in Rhuys. His tomb stands behind the altar of the present church which also contains some other relics. 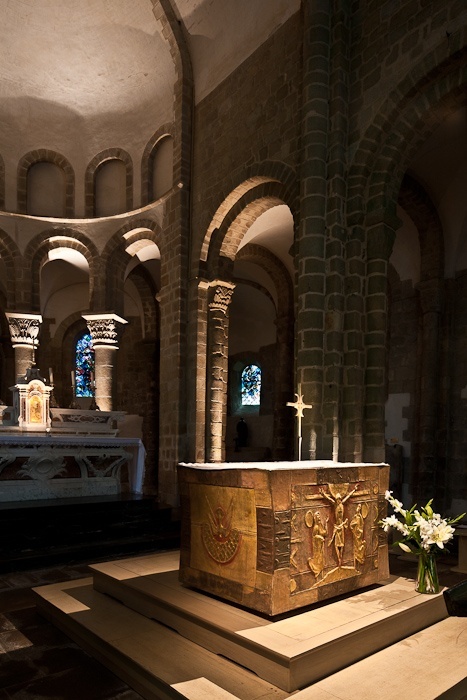 Below is a picture of his relics and the Cathedral to which it is interred…. “On another occasion, Jesus began to teach by the sea. A very large crowd gathered around him so that he got into a boat on the sea and sat down. And he taught them at length in parables, and in the course of his instruction he said to them, Hear this! A sower went out to sow. He answered them, “The mystery of the kingdom of God has been granted to you. Jesus said to them, “Do you not understand this parable? Then how will you understand any of the parables? As soon as they hear, Satan comes at once and takes away the word sown in them. But they have no root; they last only for a time. Then when tribulation or persecution comes because of the word, they quickly fall away. They are the people who hear the word, but worldly anxiety, the lure of riches, and the craving for other things intrude and choke the word, and it bears no fruit. But those sown on rich soil are the ones who hear the word and accept it and bear fruit thirty and sixty and a hundredfold.” -Mark 4:1-20. “The mother of Jesus and his brothers arrived at the house. 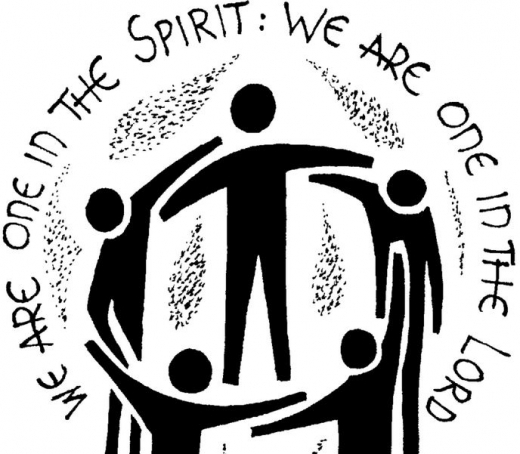 And looking around at those seated in the circle he said, “Here are my mother and my brothers. (For) whoever does the will of God is my brother and sister and mother.” -Mark 3:31-35.